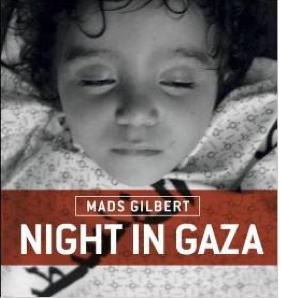 PalFest and Hodges Figgis invite you to join doctor and activist Mads Gilbert who will be signing his new book, ‘Night in Gaza’. In the summer of 2014, Gaza was attacked by Israel for the fourth time since 2006. This attack lasted fifty-one days. Mads Gilbert, a Norwegian doctor, had worked at al-Shifa Hospital during each previous conflict, and in July 2014 he went back there. While he was helping the wounded, he kept a camera in the pocket of his green operating scrubs. In this book, he tells the story in words and images of the fifty-one days of bombing and human suffering that he witnessed. At the same time, this book is a tribute to the courage, endurance and almost inconceivably strong spirit of Palestinian health workers and volunteers, a spirit replicated throughout the severely tested society of Gaza, occupied Palestine.